Set amidst the many tall-ranking palm trees in a spacious large garden-like resort, located right at the beach front, all condos have their own private entrance, tastefully decorated and fully accessorized with all amenities at your disposal. 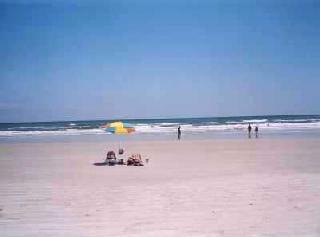 Beachfront Resort, St.Augustine Beach, located on Anastasia Island at the wide white sandy section of the beach. 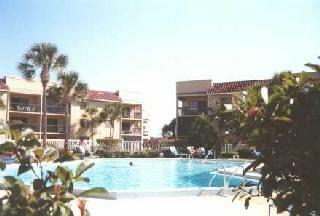 1 and 2-bedroom all tastefully decorated, air-conditioned condos (700-1044 sq ft)with fully accessorized kitchens and all amenities. 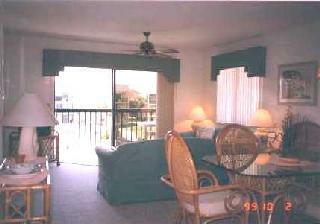 2 pools, tennis, Jacuzzi + direct access to the miles of beautiful beach. 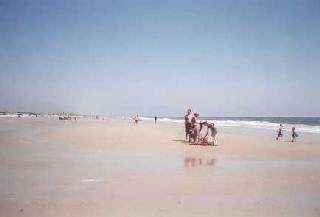 Historic downtown St. Augustine and the bayfront just a 10-min. drive.